Injectable Fillers are cosmetic injections that are used to smooth wrinkles or scars, fill furrows, sculpt lips, and shape facial features. They are substances that can be used for procedures such as lip augmentation, wrinkle treatment, scar removal and so forth that helps restore a more youthful look in a person’s face. Touted as the “next generation” of facial fillers, Juvederm™ injectable gels gently smooth wrinkles and folds around the mouth and nose and restore a youthful volume to the face. Made with hyaluronic acid, a natural substance found in the body that works with collagen and elastin to provide volume and support to the skin, Juvederm® is especially effective on smile lines and “parentheses” (nasolabial folds) that run from the bottom of the nose to the sides of the mouth. Treatment takes only 15 minutes with immediate results and no downtime. Results typically last about 6-9 months. Radience (or Radiesse) and Sculptra are longer-lasting in many cases, but not permanent. They tend to last from 1- 2 years. Bellafill and Artefill, are permanent filler that were recently approved by the FDA. Many patients get tired of frequent return visits for re-injection and will be thrilled to have a permanent solution. However, because the permanence, greater skill and training are required for its injection and a skin test must be done prior, to rule out allergic reaction. Below is a list of fillers the surgeons at Selarom use and more detailed information. Approved by the FDA, Restylane® is designed to smooth wrinkles, sculpt lips and shape facial contours. Restylane® is a clear transparent gel composed of hyaluronic acid, a natural substance that is found throughout your body. This acid is not of animal or human origin, which means that there is no risk of allergic reaction. The most common areas for a Restylane® treatment are the glabellar lines (between the eyebrows) and the nasolabial folds (from the root of the nose to the angle of your mouth). With its unique ability to bind with water, Restylane® remains in your skin for 1-2 years. Just like Restylane®, Perlane® is a clear gel formulation of hyaluronic acid that is specifically formulated to act like your body’s own hyalauronic acid, adding volume and fullness to the skin. Restylane Silk® is designed specifically to provide natural looking results to the lip area. That’s why it is made of smaller, smoother particles than those used in other Restylane® products for more superficial wrinkles and fine lines. Radiesse™ is a synthetic injectable filler that reduces wrinkles, creases and scars by augmenting the body’s natural collagen supply. Composed of microspheres in a biocompatible gel, Radiesse™ is made from the same minerals found in our bones, so it carries little risk of allergic reaction. Radiesse™ can be used on many areas of the body, including the lips, nasolabial folds, peri-oral lines, depressed scars and oral commissures. Sculptra™ is an injectable product used to counteract the loss of fat beneath the skin (a condition called lipoatrophy). 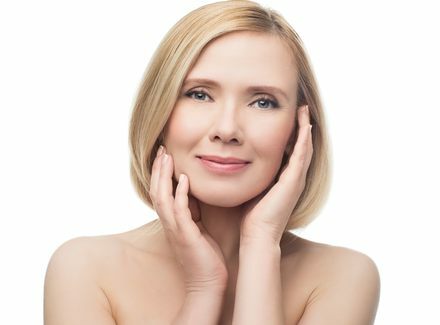 Sculptra™ is injected into the deep dermis layer of the skin to improve the appearance of sunken cheeks, hollow eyes, indentations and wrinkles. Its main component is an alpha hyrdoxy acid that has been used for 20 years in surgical products such as dissolvable sutures. Results can last up to two years. Bellafill®, formerly known as Artefill® is a gel filler consisting of millions of synthetic microspheres (polymethylmethacrylate or PMMA) suspended in purified bovine (cow) collagen. It is a permanent filler that must first be tested on the patient, in a discreet area, to confirm no allergy or long-term skin sensitivity. It is often used after a short acting filler has been tried to ensure patient satisfaction. What are injectable fillers made from? Injectable fillers are primarily made from Hyaluronic acid, which is a naturally occurring complex sugar that can also be found in human skin and cartilage. How long will the results from injectable fillers last? It usually depends on the type of injectable fillers used. The results may vary between several months to a couple of years. Injectable fillers are non-invasive procedures so as soon as your desired look starts to diminish, you can get another one done immediately. Can injectable fillers be used to correct an asymmetrical upper lip? Yes. Injectable fillers inserted in the lips help to improve the appearance of asymmetrical upper lips.